Google Tag Manager is a tag management system, which allows you to quickly and easily update tags and code snippets on your website (e.g. those intended for traffic monitoring and optimisation). 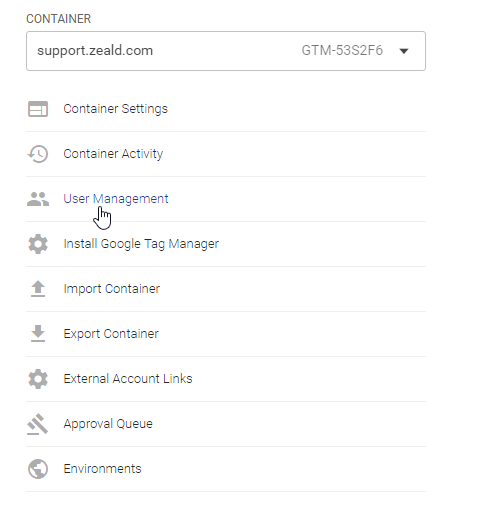 Here at Zeald, we use Google Tag Manager to implement the Google Analytics tracking tag and events on your website. 1. 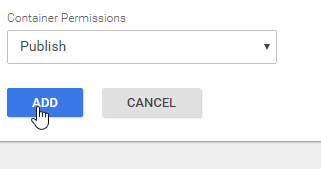 Log in to your Google Tag Manager account. 2. Go to the ADMIN tab. 3. Go to User Management under CONTAINER. 4. 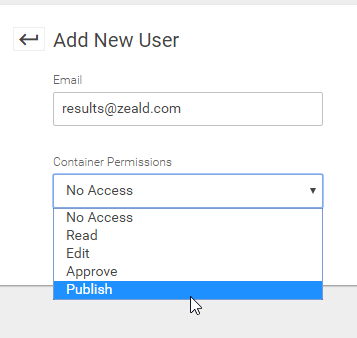 Enter results@zeald.com on the Email field, then select Publish to grant full access.